There are a host of well documented advantages to getting adequate sleep which we’ll get into more detail in this Sleep & Physical Performance Series. Gone are the days where people think “sleep is for the weak” or “sleep when I’m dead”. On the contrary, if you want to look good, feel good, and perform better in all aspects of life, you should look at getting more shut eye. Among the athletes we work with at Adonis Athletics, sleep is something we’ve been harping on about quite regularly as of late. Understanding the importance of sleep, and how it affects our athlete’s performance, recovery, and body composition has played a huge role in the success of the individuals time, and effort spent in the gym, and the amazing results they’ve come to achieve. 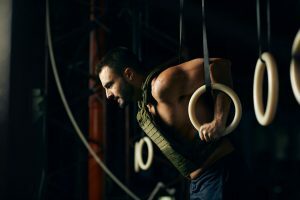 Since implementing the 1%er’s, and protocols on getting a better night’s sleep, both in quality and length, we’ve seen our athletes perform better, recover faster, improved mental focus, motivation, energy, fat loss (yes, you read correctly, fat loss), decrease levels in stress, overall happier and really reaping the rewards of time spent in the gym with results. When you sleep, all systems in the body become anabolic: muscle tissue, nervous system, immune system, and endocrine system. Everything is rebuilding in this time. 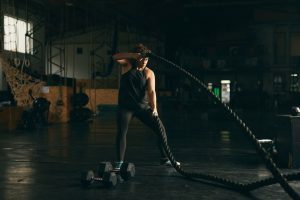 The main one most gym-goers care about is muscle tissue being added to the body to properly sculpt their physique from the stimulus they’ve put it through in the gym. However, if you consistently get less than the ideal amount of sleep, say 5 hours instead of 7-9 hours, you’re going to have higher concentration of catabolic hormones known as cortisol, and lower concentrations of anabolic hormones known as testosterone. Just to give you an idea, when you’re trying to lose weight, during periods of less than ideal sleep, the weight you lose is actually a higher proportion of muscle tissue than it normally would be/should be. When you get enough sleep during periods where you are cutting weight, a higher ratio of what you lose is actually from fat, and you retain muscle better. And if you needed any more convincing, here is another example from one our very own athletes, and coaches. 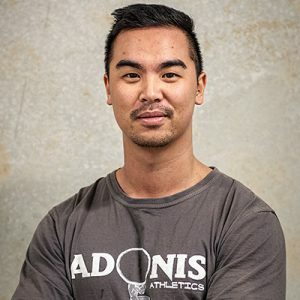 Our resident weightlifting Coach Phillip Liao (who is also a big advocate for sleep) whom recently competed in the Commonwealth Games had to cut 10kg from usual comp weight to make it into the next weight class below. Upon his return and getting back into training, within 2 weeks his strength was back to where it was before his cut down to 56kg with some specific training, and just HALF the amount of work. The key factor to this was implementing strategies to a better night’s sleep. Crazy? We think so. Don’t underestimate the value that sleep brings. In the world of training, you need the stimulus (the gym) the food (fuel) and the recovery (sleep) to all work hand in hand for the best possible results. Whether you’re an athlete or not, everyone can benefit from a Koala-ty night’s sleep.